Jamie Ohler announced the launch of TXTVideo by DropMock, a new technology that allows businesses to promote their products or services and engage with their customers through customized text-videos. Jamie Ohler announced the launch of a TXTVideo Direct, a new video sms-text conversation video style technology, designed to help major brands market their products and services. TXTVideo Direct makes it easier for site owners and entrepreneurs to engage with their customers through text message and market their business in a unique way on social media platforms, such as Facebook, Instagram And Snapchat. Social video gets more shares than text and static images combined. It also encourages more views, tags, and comments, which can help businesses get noticed in a crowded marketplace. In addition, consumers often want to see videos from a business before they click through to their website. A well-placed video can entice one’s audience to learn more and drive traffic their way. Consumers are rapidly moving to video as their information source of choice, due in part to its visually pleasing and entertaining aspects. But more than that, it allows them to connect on a personal level to the message they are receiving. That sense of connection drives engagement and motivates action, and this is a huge marketing advantage. TXTVideo Direct allows businesses to create videos that encourage customers to engage, interact, and take action at the right time. Clients can easily create text stories that are displayed on a smartphone and turn them into videos. The tool was carefully designed to be as user-friendly as possible. This gives clients the ability to create TXTVideos with personalization, images and GIF’s, customer backgrounds, lead capture forms, call to action buttons, coupons, click to call feature, and many more. In addition, with TXTVideo Direct, conversations can be initiated and controlled, recorded and saved. The tool offers database marketing which allows for relevant sending to relevant segments, thus delivering messaging to the consumer at the right time and on the right device. 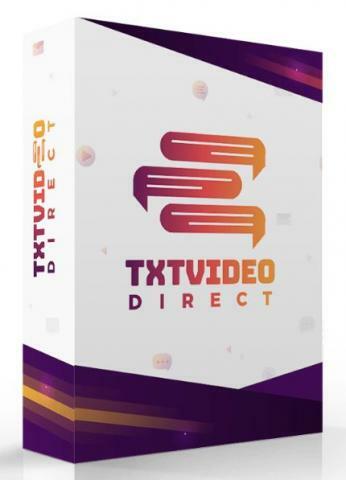 TXTVideo Direct provides business owners with a completely original, cutting edge tool with which they can promote all their services and products.This means that businesses and entrepreneurs can now showcase their services in a unique engaging way, while also generating more traffic and leads. Interested parties can find more by visiting the above-mentioned website or https://muncheye.com/jamie-ohler-txtvideo-direct.